Abbotsford – (Dan Kinvig, UFV Athletics) – The hot-starting, hot-shooting Winnipeg Wesmen prevailed in decisive fashion on Friday evening, knocking off the University of the Fraser Valley Cascades 69-55 in Canada West women’s basketball action. Antoinette Miller, the reigning Canada West player of the year and the current U SPORTS national scoring leader, lit the fuse for the visiting Wesmen at the Envision Financial Athletic Centre. The fifth-year guard from Phoenix, Ariz. poured in a game-high 31 points. Among her output were a trio of three-pointers, which was characteristic of Winnipeg’s shooting performance – they hit 11-of-24 attempts from beyond the arc (45.8 per cent). As for the hosts, a slow start did them in. The Cascades found themselves trailing by 20 points in the second quarter, and every time they looked to mount a rally, the Wesmen seemed to answer with a triple. UFV (2-5) and Winnipeg (3-4) renew hostilities on Saturday at the EFAC (5 p.m. tip-off, webcast at CanadaWest.tv). 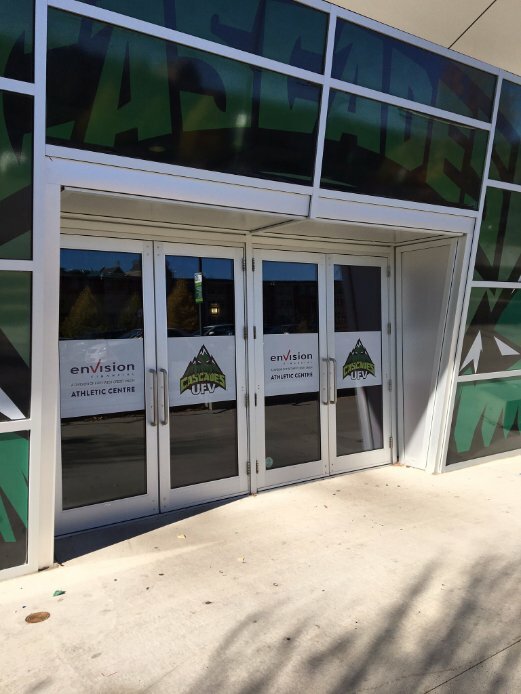 “Our approach to tonight’s game was extremely poor,” Cascades head coach Al Tuchscherer said. “We played with no toughness, particularly in the first quarter. We were looking for easy ways out all over the court tonight, and we’re simply not going to win any games against any level of competition, let alone a team like Winnipeg. The Cascades struggled offensively throughout the first half, while the Wesmen couldn’t miss. With the clock ticking down at the end of the first quarter, Miller tossed up a contested fadeaway from well beyond the arc to beat the buzzer, and it found nothing but net to put the visitors up 22-11. Winnipeg opened the second quarter on a 9-0 run to stretch the lead to 20, and they led 41-23 at halftime. UFV came out of the locker room with some energy and opened the third on a 6-0 run. But the Wesmen responded with a three from Robyn Boulanger, plus the foul, to reclaim the momentum, and they cruised from there. Boulanger racked up 18 points (4-of-6 from three) for Winnipeg, and Chelsea Epsenberg scored nine points off the bench. Cascades forwards Shayna Litman and Taylor Claggett each registered 17 points and eight rebounds, though only six of their combined points came in the first half. Sara Simovic scored nine points, and Jessica Zawada scored eight off the bench. The Winnipeg Wesmen completed a huge second-half comeback in overtime, edging the University of the Fraser Valley Cascades 90-88 on Friday at the Envision Financial Athletic Centre. In Canada West men’s basketball action, the host Cascades led by as many as 26 points early in the third quarter, but the Wesmen battled all the way back and forced OT on Denzel Lynch-Blair’s fast-break layup in the dying seconds. Winnipeg carried that momentum into the extra session, surviving a potential game-winning shot from beyond the arc from UFV’s Vick Toor at the buzzer to claim the victory. The Cascades (1-6) and Wesmen (2-5) lock horns again on Saturday (7 p.m., Envision Athletic Centre, webcast at CanadaWest.tv). “When they turned on the (defensive) pressure, it was tough for us and we weren’t able to handle it overly well and got away from the stuff that got us the lead,” Cascades head coach Adam Friesen analyzed. “We’ve got to learn from that and come better-prepared tomorrow to handle their intensity. The Cascades were on fire in the first half, shooting 51.5 per cent from the field and 41.7 per cent from beyond the arc, and leading by as many as 20 points. They reeled off a 12-0 run during the second quarter, capped by Sagar Dulay’s third three-pointer of the half. But the Wesmen fashioned a 5-0 mini-run of their own in the final minute to steal a bit of momentum back, albeit still trailing 48-33 at the break. UFV opened the third on an 11-0 surge to claim their largest lead of the night, 59-33 just three minutes into the frame. However, they also picked up five team fouls during that stretch. The Wesmen began chipping away at the lead, closing the gap to 66-49 at the end of the third. Winnipeg brought full-court pressure in the fourth, inducing eight Cascades turnovers to spark the rally. They cut the deficit to 75-70 with 3:30 left on a Lynch-Blair layup, but Cascades rookie guard Kenan Hadzovic responded with a three-pointer to make it 78-70 with just over three minutes remaining. Those would be the last points UFV would score in regulation, though – Winnipeg finished the frame on an 8-0 run, capped by Lynch-Blair’s transition bucket, and they surged ahead in OT, going up 89-83 after William Sesay’s layup with one minute left. UFV’s Mark Johnson went on a personal 5-0 run, though, to give the Cascades a shot – he hit a pair of free throws followed by a three-pointer with 12 seconds left to draw his team to within 89-88. After Winnipeg’s DJ Dixon went 1-for-2 at the free throw line, Toor had an off-balance triple for the win at the buzzer, but his shot drew iron. Fourth-year forward Andrew Morris paced the Cascades with a season-high 24 points to go with nine rebounds, and UFV had four other double-figure scorers: Johnson (15 points, 12 rebounds), Dulay (14 points, 4-of-6 from three), Hadzovic (11) and Daniel Adediran (11). Lynch-Blair had a huge night for the Wesmen, racking up a game-high 28 points on 13-of-17 shooting. Dixon had 14 points off the bench, and Billy Yaworsky and Don Dayrit scored 10 apiece. “I’m not sure, to be honest,” Winnipeg head coach Mike Raimbault said with a wry chuckle, when asked how his team managed to pull off the comeback. “It was a pretty crazy game. It looked like we were almost out of chances, and credit to the guys – they never quit. They kept playing, and they managed to claw their way back and force overtime. And once you get to overtime, anything can happen. 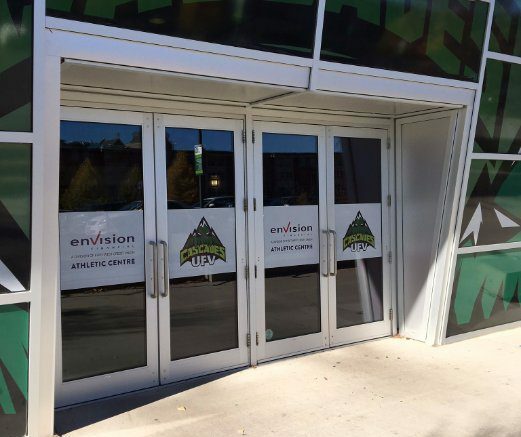 Be the first to comment on "UFV Sports Friday – Tough Weekend For Both Basketball Teams"